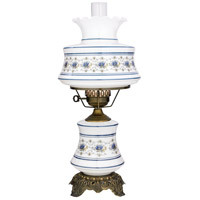 Quoizel got its start in 1930 by creating these hurricane style lamps. 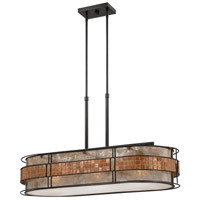 Today, Quoizel still makes this timeless design. 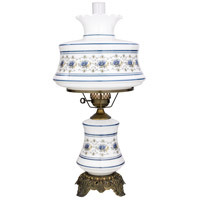 This piece features a blown glass shade, as well as a lighted base. 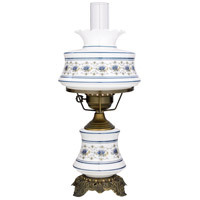 The white glass is embellished with a soft blue floral pattern, and the intricate metal base is finished in an antique brass patina. This is an heirloom piece to be passed down for generations.